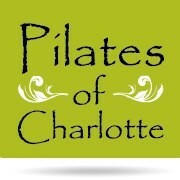 Start taking classes at Pilates of Charlotte and other studios! Born in the Navy SEALs, TRX Suspension Training bodyweight exercise develops strength, balance, flexibility and core stability simultaneously. TRX leverages gravity and your bodyweight to perform hundreds of exercises. You're in control of how much you want to challenge yourself on each exercise because you can simply adjust your body position to add or decrease resistance. I was very intimidated to try TRX, but Lynn was fantastic, showed me how to modify a few moves and it was a great challenging workout! Thanks Lynn! Love the TRX and Lynn makes it fun! Lynn- you are the best! Killer workout that never gets easier. 60 minutes of heart racing, muscle burning fun! Lynn knocks it out of the park with her TRX class! I have done TRX at home and want to quit after 20 mins but I really liked this class. The workout was challenging but could be easily tailored to any fitness level! Some of the moves are a bit awkward but this seemed to be related to my current lack of fitness. The Instructor made corrections to ensure I was doing the exercise correctly and effectively. Good class for any level! Lynn was great!